Manufacturer of a wide range of products which include wood fired boiler, diesel fired boiler, gas fired boiler and solar hot water boiler. 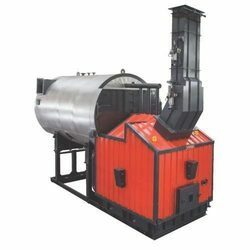 We hold expertise in offering a superior quality range of Wood Fired boiler that is manufactured using supreme quality raw material and latest technology. These are specially designed by our experienced professionals to meet the specific needs of the clients. Our range of this Boiler is ideal to be used for relatively small steam capacities and low to medium steam pressures. The wood-fired Boiler offered by us are widely acclaimed for their high steam storage capacity and thermal efficiency. We have on offer for our esteemed clients an optimum quality range of Gas Fired Boiler. Our firm has the most experienced team of professionals who help us deliver energy efficient Boiler at market leading prices. These gas fired Boiler are in accordance with the international standards of quality. 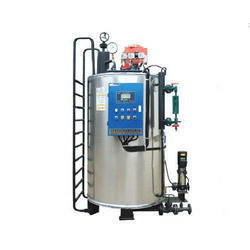 Incorporating all the required quality parameters, we have designed & developed our Boiler. Clients can avail from us quality Solar Hot Water Boiler in varied technical specifications and models. Manufactured using graded material and latest technology, these boilers deliver optimum performance, and have a rust-proof body. Owing to our Solar Hot Water Boiler' compliance with international standards, these are extensively utilised in commercial establishments as well as private residences.